A good brisk wind and a moderate temperature. It was a morning made for kite flying. The fact that it was mostly cloudy made it even better as we took our not-quite-three year old grandson with us. He takes after his father’s Irish heritage and burns quite easily. So after slathering on the sunscreen, we walked (he ran) down to the beach to the sound of a little voice saying “Kite, kite, kite”. He was just a little excited. He is the proud owner of a lime green delta kite that doesn’t fly all that well but stays up long enough to make a not-quite-three year old happy. There are some modifications that I can do to make this kite fly better. And I will before his next visit. But for now, it does the job nicely. He laughs and grins and then drops the spool as his attention is caught by something else on the beach. My husband and I took a couple of kites of our own with us but this was all about the grandson, so they stayed in the kite bag. 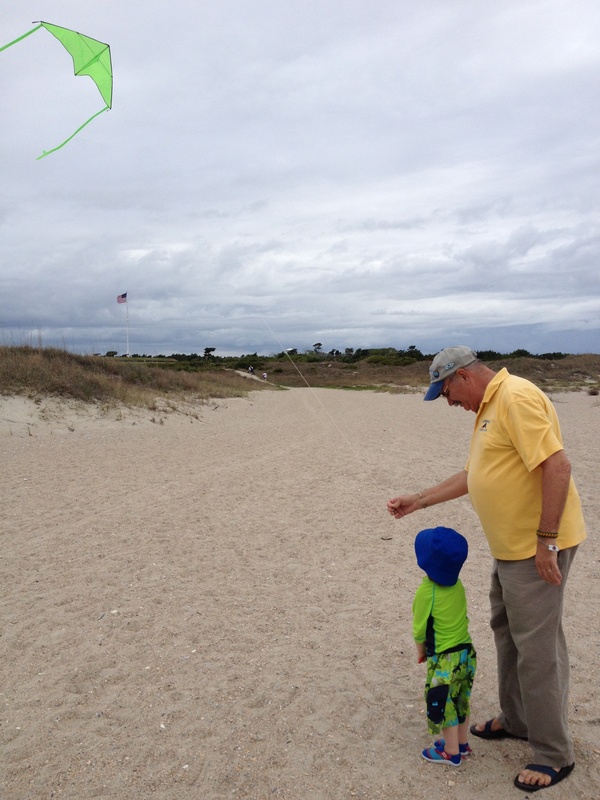 We helped him with his kite, played in the sand and marveled at his boundless energy. And how was the timing just right, you may ask? Well, we had our time on the beach and lunch at a local restaurant and were heading home when it began to rain. Our outdoor excursion was done and it was nap time. What could be better? However, because of our house guest, my kite building project has been put on hold. I had to put it aside for reasons of safety (hot cutter, scissors, extension cords, etc) and curiosity (patterns, nylon ripstop, sewing machine, fabric markers, etc.). His, not mine. 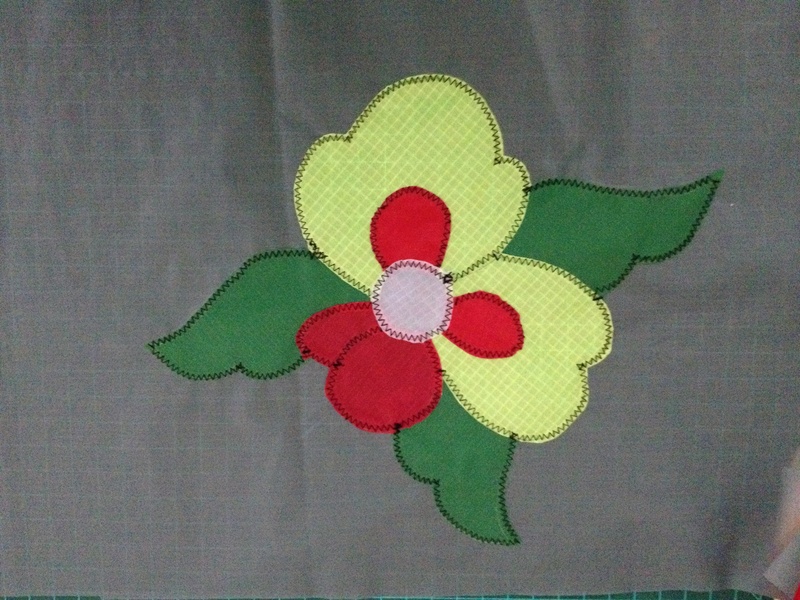 I have managed to complete a couple of trials of the base pattern to determine the best way to do the appliqué. I have to pay much more attention to fabric layering and the order of sewing the pieces on this project. 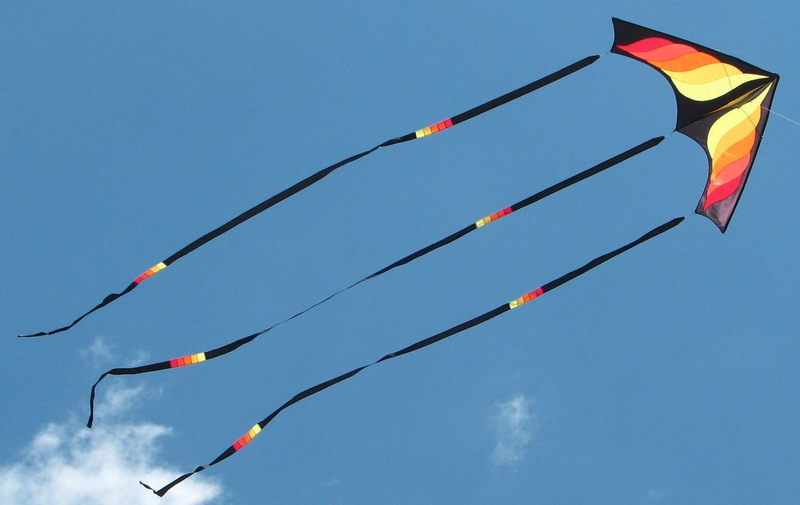 I will start on the actual kite skin when I can bring out the sewing machine and all associated equipment again. And when I can totally focus on what I am doing. In the meantime, I am enjoying just being a Grandma, watching “Curious George”, “Thomas the Tank Engine” and “Dinosaur Train” and wishing I had just a little bit more energy. 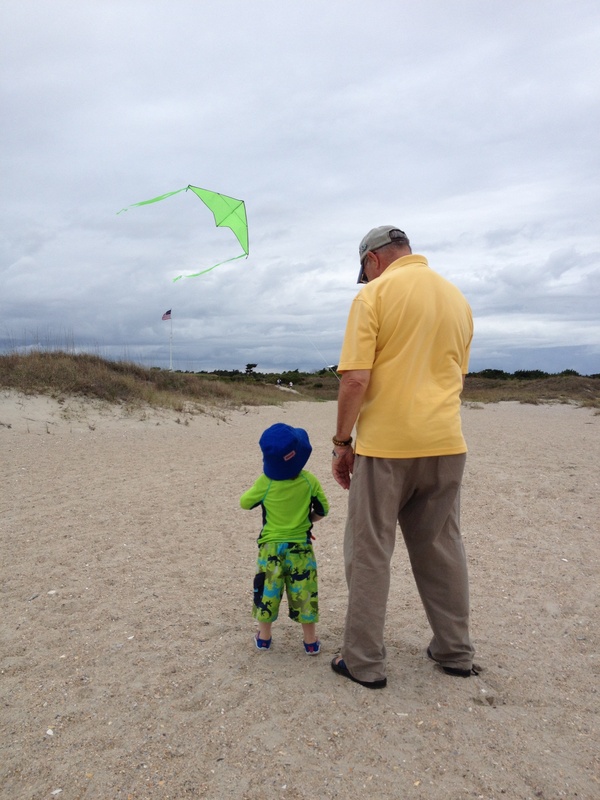 Nice to be able to share kites with Grande, so lucky to have him with you. Good luck with the applique project. Looking forward to the updates.